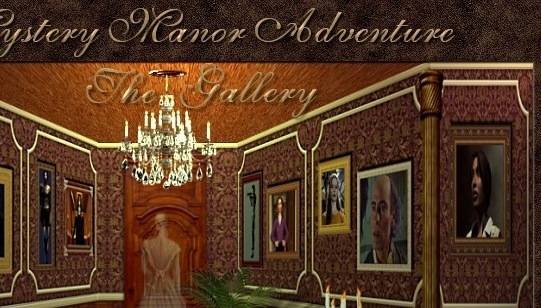 Mystery Manor is for anyone who loves to play adventure games. Each room is designed to be a place to find information, be it walkthroughs, screenshots, reviews or links, with a few surprises thrown in. Or, you can explore the Manor just for the fun of it. Turn on your speakers so that you can hear some nice game music and the many sound effects. Be sure to look for the hidden key in each room. Don't miss our forums. Here you will find all our spirited inhabitants or become one yourself. You can also find us on Facebook. We have a fan page called "Casual Game Community" where we discuss casual gaming. Please feel free to join us. Haunting At Cliffhouse - A new point and click adventure game! And don't forget about - Intrigue At Oakhaven Plantation! Explore the grounds for walkthroughs, just some hints, or more than one walkthrough for a game. Take a stroll in the gardens to dig up information about game developers and publishers. Dance with the ghosts, drink some wine and bring your candle to see the screen shots. This where you can go when you are ready to play. It is always occupied with our guests that never leave. Try a game of Trivia, see if you can beat their scores. Or, maybe you'd like to play some online Adventure games, slider puzzles, Memory or Blackjack. Come and enjoy the tranquility of the library. Sit by the fire and do your research from the books here. Find forums, if you are stuck in a game, more places to go to for walkthroughs or directions of where to find older games. Visit the widow ghost in the Chapel. She will show you a vision of religious themed games. Let the beauty surround you while you study all the adventure games, listed by category. There is a young ghost that stays here. If he bothers you, just walk through the doors. Visit the Nursery, the child ghosts are very knowledgeable and can help you find Children's software games. Are they real or ghosts. See if you can figure it out. In this enchanting room, you can sit by the fountain and read game reviews. 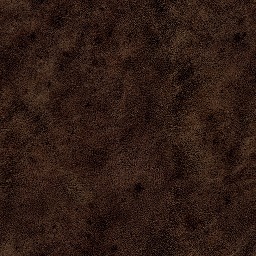 The adventure game forum can also be accessed through this door, for discussions about games, hints and help, technical help, books and authors or just general chat. Be careful not to sit too close to the water. Our adventure game characters will share some of their most tempting and delectable recipes with you, while you relax by the fire. Warning: Be careful what you eat or drink in this room. There has been more than one unfortunate accident(?) take place here. Our ghostly bride has saved all her memories up here along with the Saved Games Database and other Adventure Game memorabilia. She can help you out if you need a save for a game. Watch out for the man in the mirror, sometimes he gets out. The ghostly servant will sew you up a patch for those games that are crashing, having graphics problems or just don't play smoothly. She has been locked in until her job is done and only you can release her. This is where the Patches Database is stored. Along the backside of the Manor stands the Carriage House and Workshop. Here you will find the Utilities Database to help you with a workaround when you can't play a game because your CPU is too fast , you need a DOS environment or help with sound emulation. Our devious couple will throw a few extras out there for you also. Listen carefully to what they tell you, or you'll find yourself hanging in a corner.. .
What game music haunts you? Visit this exquisite room and dance the night away with a ghostly masked ball and some fine game music. If you are planning on spending the night, this is the room for you. Its gorgeous decor and beautiful faberge eggs will keep you locked in while you discover many easter eggs that developers hid in games. 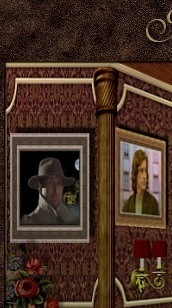 © MysteryManor.Net. All rights reserved.